Liam Payne is Single Again! They appeared to confirm their romance when they were pictured kissing and cuddling last month. But Liam Payne has seemingly ended his fleeting relationship with Cairo Dwek as he told fans he was single in a now-deleted Instagram post on Monday. The Bedroom Floor hitmaker, 24, insisted he was still very much a bachelor when fans quizzed him on his relationship status - bizarrely beneath one of singer John Mayer's live Instagram videos. 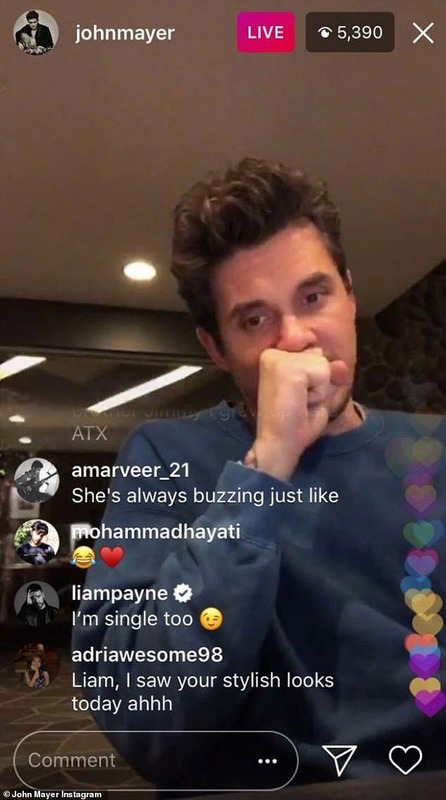 After John told fans he was single, Liam quickly shut down speculation adding: 'I'm single too,' followed by a wink emoji. His comment would suggest he has split from Cairo, who, like Liam, has been pictured doing the rounds at London Fashion Week over the past couple of days - though the pair have not been pictured together. On Monday, Cairo was spotted heading into the Palmer Harding showcase, just a day after she joined her gaggle of model pals on the front row at the stunning Mary Katrantzou show. According to The Mirror, Cairo met Liam during his trip to the French Riviera over the summer, and started liking a stream of her posts on Instagram. Sources claim the star set his sights on the model at the Medusa restaurant in Cannes, before they headed to the same nightclub together. In a video shared to Snapchat from the evening, Liam was then seen dancing wildly for the camera, with Cairo visible in the background. Liam and Cairo were also seen on a dinner date at a breathtaking terrace of upscale hotel Villa D’Este earlier this month. It comes after the Bedroom Floor hitmaker, who shares 18-month-old son Bear, with singer Cheryl, explained that he felt as though he had broken up with the former X Factor judge 'twice' when they announced the end of their relationship to the world. Speaking to Big Top 40's Kat Shoob, Liam admitted that the past two months have been 'difficult' as he deals with their split in the public eye.